Pawtucket’s urban landscape is largely defined by how three rivers and a major interstate flow through the city resulting in a crisscross of bridges and highway overpasses. Art Bridges Pawtucket is a City-run effort that seeks to utilize Public Art as a way to bring together and better connect Pawtucket’s diverse communities, complex street patterns and patchwork neighborhoods. 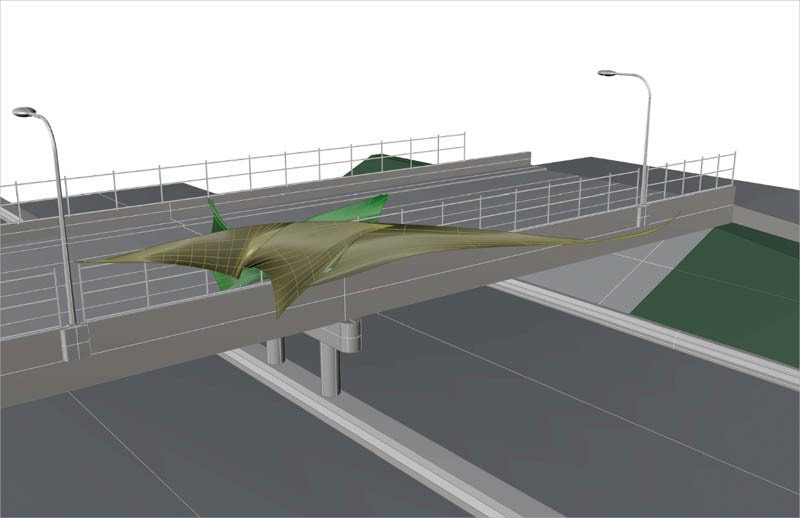 Our first initiative is to transform the I-95 George Street Overpass with a large-scale installation of public art by Suikang Zhao. This overpass is a key connector and gateway to our city. Art added to the north side of the overpass will enhance the vehicle and pedestrian path over the highway and also be visible to cars driving south on I-95. This work began with a 2014 NEA Our Town grant award. Wide community engagement took place during the winter of 2015. The results of this community dialogue and our artist selection process can be explored on this site.